Important figures of the European Middle Ages, the Vikings are also a part of popular culture. However, there are numerous misconceptions circulating about them. A researcher straightens out a few facts. Head of the Regenerative Therapy Unit at the University Hospital of Lausanne, Professor Lee Ann Laurent-Applegate and her team have developed a biological dressing which stimulates skin regeneration in major burns victims. Dominique Bourg coordinates the Master’s in the Foundations and Practices of Sustainability, offered by the Faculty of Geosciences and Environment since 2015. In the areas of programming, website development, database processing and textual corpus analysis, information technology offers numerous applications for human and social sciences. 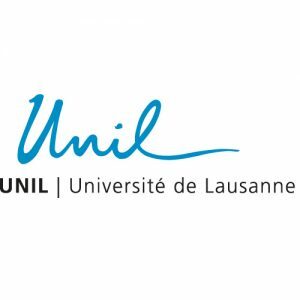 Fifty Chinese graduates and students who studied at UNIL now live in the Shanghai region. Patients, doctors, researchers and bioengineers in Lausanne will soon all be housed under the one roof. Immunotherapy, which aims to mobilise the immune system in the fight against cancer cells, has for some years been the focus of rapid advances. The current development of a Swiss Cancer Centre will provide Lausanne with all the skills and infrastructure required to become a centre of excellence in this field. The MOOC (Massive Open Online Course) presented by Guido Palazzo and Ulrich Hoffrage, “Unethical Decision-making in Organisations: a Seminar on the Dark Side of the Force”, had a total of 43,000 students. Never have the Middle Ages, accompanied by a whiff of the supernatural, been so all-pervasive. The Hobbit trilogy; Game of Thrones and Vikings prevail; comic books and video games exploit the genre. So, why this passion for chainmail and swords in the age of smartphones? Following their study of religiosity in Switzerland, researchers from the universities of Lausanne and St-Gallen highlighted four profiles. Their book proposes a new typology, distinguishing four types covering all individuals.